Cheese straws are a Southern tradition and will be found on the banquet table at any social event south of the Mason Dixon Line. Of course each family has its own secret recipe, and ours are made from our family's time honored formula. The Classic Cheese Straw is a blend of sharp cheddar cheese, butter, and a smidgen of cayenne. The Hot Cheese Straw is a blend of sharp cheddar cheese, butter, and a dash of cayenne, red pepper, and black pepper. Papa Jack loved them both, and we know you will too! 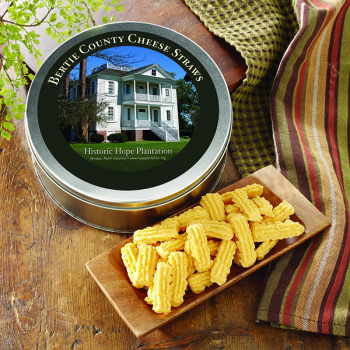 Each tin of Bertie County Cheese Straws is graced with a full color photograph of the Historic Hope Plantation mansion. Additionally, to help with the preservation of the site a portion of the proceeds from each sale of the Cheese Straws will be donated to the Historic Hope Foundation. 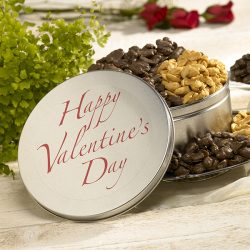 New - now choose the label style you wish to have placed on the tin. Please note that the label design style and/or colors may change from year to year. The taste and texture of the standard cheese straws are as good as I have found. They are always fresh and well packaged. They are great,except they don't last around me!! As 2 being poor I used to make my own cheese crisps. These do not begin to compare. Mine were more flaky (loose texture) and I used best grade aged cheddar. Also I used a small amount of cayenne in the batter, giving the straws a more interesting flavor. Yours are adequate but I doubt they will inspire sales. 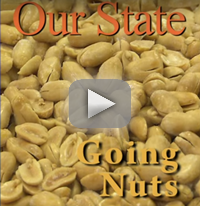 Owner Response:Darn - sorry to hear that our cheese straws don't meet your expectations. We'll be in touch regarding our 100% guarantee. It is hard to find cheese straws like Grandmother made, but these are VERY close. The best bought ones I have had. And I have tried a lot of them.!! We have ordered these over and over. Excellent, love the crunch and the spice. The cheese straws arrived broken all to pieces. I had planned to serve these at a meeting of my book club, but of the 2 pkgs I received, only 12 of the cheese straws remained whole. I would like to suggest better packing and the word "Fragile" stamped on the box. The flavor was wonderful, just the packaging was unacceptable. Owner Response:We're sorry to hear you had that issue. We'll look into it and be in touch. These remind me of the crackers my grandma's friend Charlotte would make when I was a kid. So delicious! These are just as good as the originals, but with a kick! Sent these a a gift - were fresh and delicious! Daughter loves the real cheesy flavor of cheese straws! the taste & is perfect, just the right amount of spicy, but not too strong - my all time favorite! delicious, full sharp cheese flavor with a pinch of heat. I've always been very satisfied with your cheese straws, the last order I received in the tins were in pieces, not too many whole straws - your cheese straws are my favorite but that batch appeared to come from a heavy handed carrier or the bottom of the barrel. I hope the next order will be in better shape, same great taste! love the product, would like to know if I can shop directly from the company. These are as good as those made by my late mom and aunt. That means really, really good! Timely delivery Fair price. xcellent product. 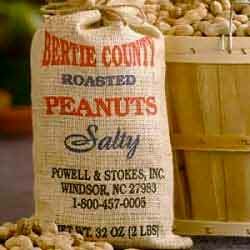 Like everything else I've ever bought from Bertie County Peanuts, these are really, really good! These were a gift but I have had them and they are delicious. These hot cheese straws are delicious!